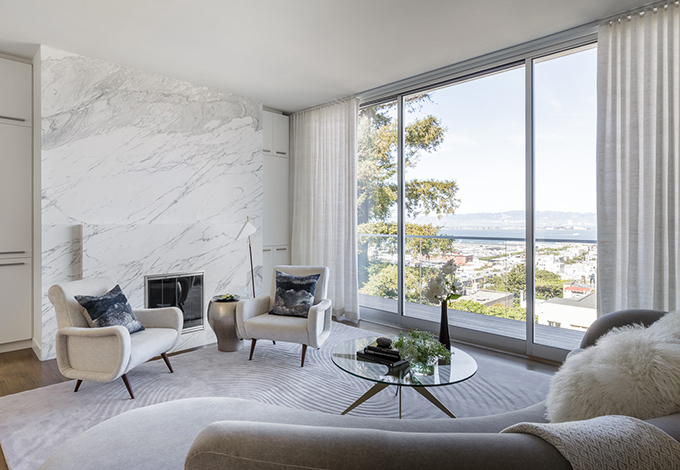 A family of three called upon Niche Interiors to create a vision for their new 7,000 square foot home perched on the top of Pacific Heights. With 180 degree views of the bay, this three level home features expansive spaces for indoor/outdoor entertaining. 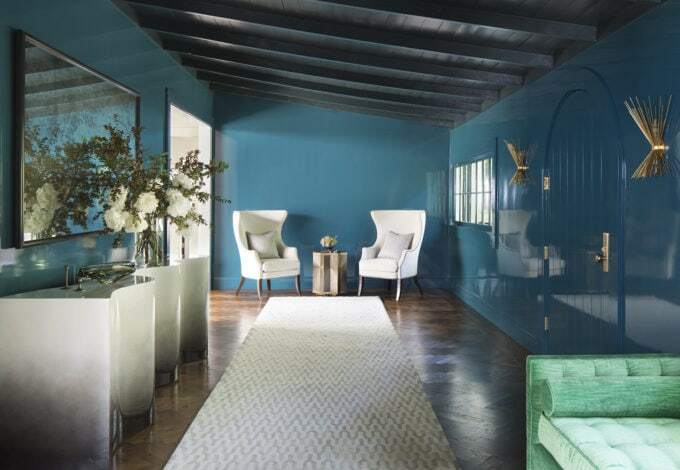 A custom rug grounds the formal living room, which features contemporary furniture and artwork and a mix of sumptuous fabrics and luxe metals. The adjacent dining room is given a dose of drama with metallic wallpaper and a statement chandelier. The custom dining table expands to seat 14 for poker parties and holiday dinners. The family room furniture layout capitalizes on the incredible view, with a sectional sofa facing Alcatraz while also providing a comfortable spot to watch movies. The cool muted color palette continues in the master bedroom, with a custom platform bed and textural grasscloth wallpaper. A bold geometric rug, graphic wallpaper, and mid-century furniture lend a fun vibe to the playroom. The finished project is beautiful and exactly what I hoped. They were such great listeners, from hearing and understanding how we wanted to handle the process to the style we wanted.